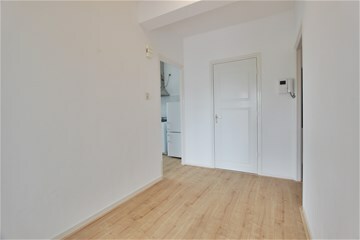 Lovely 1 bedroom apartment on the Van Boshuizenstraat with 2 balconies situated east and south. 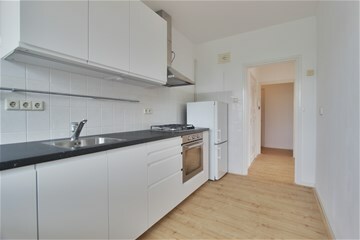 The apartment is located in the quiet and beautiful green Buitenveldert. 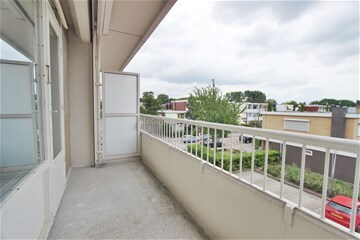 The property is within walking distance of a shopping centre for daily shopping at the Kastelenstraat. The renewed Groot Gelderlandplein is around the corner and is very well equipped (From HEMA to Marqt, from Nespresso to a fresh fishmonger and of course the excellent parking facilities). 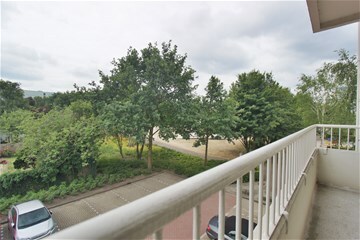 In addition, the Kalfjeslaan with the well-known restaurant and terrace "Het Kleine Kalfje" on the Amstel is within cycling distance. Or there are various food festivals in the summer period: such as Taste, Trek and the monthly returning Pure Markt in the Amstelpark. With Schiphol and the Zuidas /WTC and the arterial road (Ringweg A10), the Vrije Universiteit, the VU hospital and the RAI (at the moment there is a lot of construction work (Hotel NHOW) in the immediate vicinity this apartment is attractive as a living / working space for various buyers: Expats, studying children, people looking for a nice pied-a-terre or someone who loves greenery and views. Finally, the Amsterdamse Bos is in the neighborhood for sports enthusiasts. Entrance hall with access to all areas. 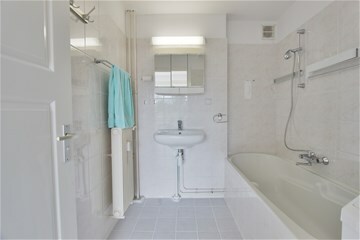 Separate toilet with washbasin. 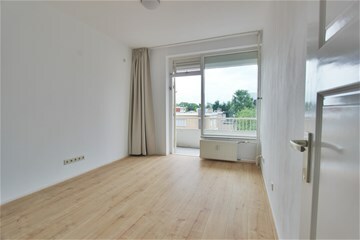 Spacious living room with corner view, with many windows creating lots of natural light in the apartment. 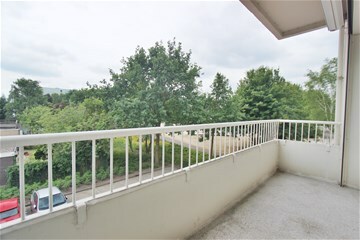 Balcony is accessible and is located east. 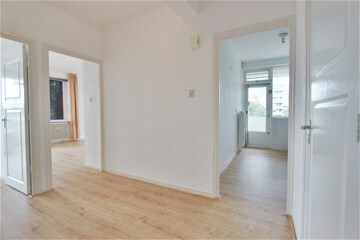 Bedroom is also accessible through the same balcony. 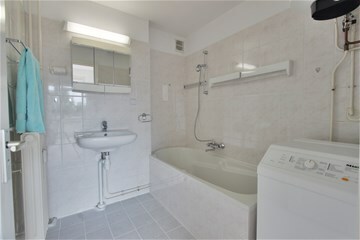 Bathroom with bathtub and washing machine and washbasin. 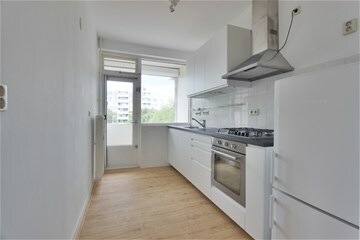 KItchen equipped with all built-in appliances and gives access to second balcony situated south.